Turquoise and crystal wire wrapped flower earrings. 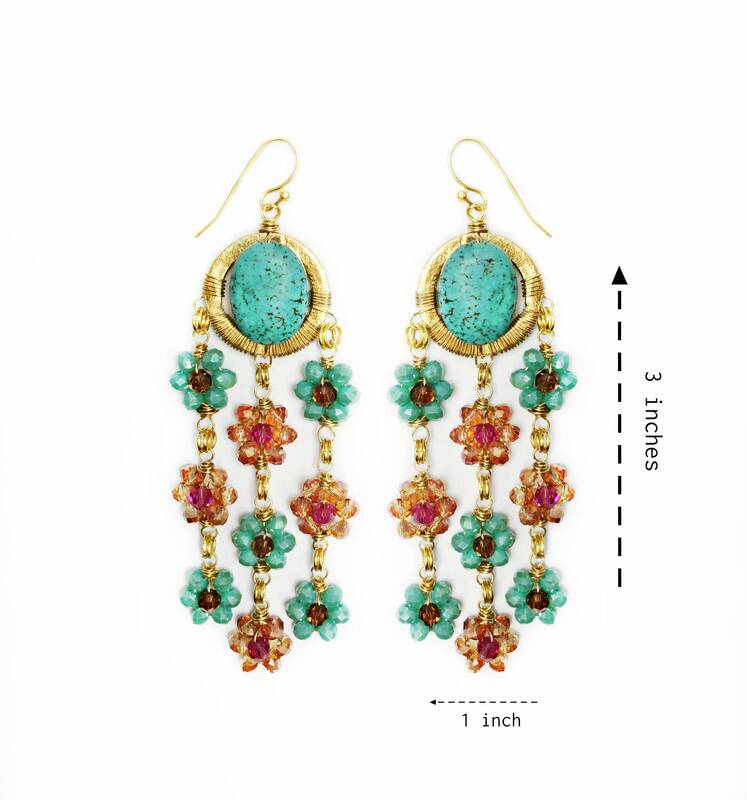 These earrings are 3 inches in length and 1 inch in width. These earrings are defiantly the WOW factor! They are light in weight and comfortable to wear. The earrings give that one of a kind eye catching look. They are perfect for everyday wear as well as wearing for evening events. The crystal beads sparkle and shimmer with any movement.